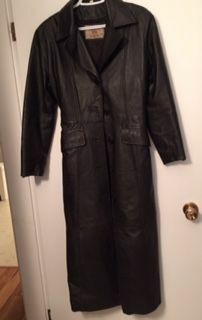 Women's Long Leather Coat, used but still in good shape. Size S Should fit a small M as well. Asking $65.00. No longer fits me and would like someone to get use of it.